Does the Disney canon of Star Wars include any multiple-biome planets? Star Wars is quite famous for fitting the Single Biome Planet trope to a T (warning: TVTropes link). You have the desert worlds of Tattooine and Jakku, the Forest Moon of Endor, the woodland planet of Kashyyyk, the volcanic planet of Mustafar, the ice worlds of Hoth and Ilum, the cloud-world of Bespin, the mud-drenched Mimban, etc. Within the Disney canon of Star Wars, are there any planets that are specifically known to not be single-biome? The closest I can think of is Naboo with its underground domed cities, but there doesn't seem to be any indication that the climate is truly different there, it's more of an "oh, we built cities at the bottom of the sea because plot" thing. Ordinary seas and islands don't count unless there is a trope-breaking difference (that is, this question is about trope-breaking, not about biomes as they are formally defined in geology). Are there any planets that are either shown on-screen as having multiple biomes (e.g. desert and jungle; glacier and rain forest; grasslands, fungal forest, and tundra; etc. ), or that can be shown to be multiple biome according to canon Disney works? A canon reference could be something as simple as, "He set down his X-Wing in the tiny area near Tattooine's north pole where trees grew in abundance." Ryloth seems a pretty good fit. 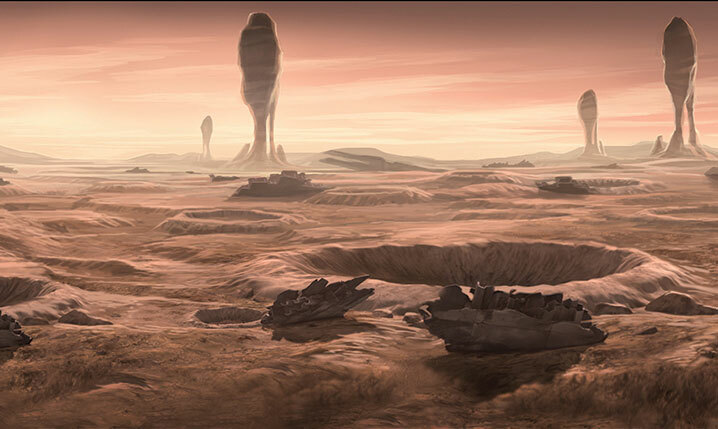 It has a wide range of 'biomes' seen in the canon Clone Wars series including some rugged mountain areas seemingly devoid of life as well as jungles. You might also consider Jaresh. It appears in the (canon) book Moving Target: A Princess Leia Adventure. We’re at war, Cracken had said, and Leia had accepted that. But now she wondered how much evil had been done, deliberately or not, because of that excuse. Below the Mellcrawler hung the planet Jaresh, like a green jewel in space. As the yacht approached, Leia could see thin blue lines carved across the continents, marking a complex series of irrigation canals that brought water from enormous polar ice caps to the more temperate regions. I know that you disqualified Naboo already, but I think that you failed to consider that we know that Naboo has large marshy forests (where the jedi first met JarJar), and it also has large rolling plains (where the Gungans fought the droid army). I think Parnassoss, Phasma's homeworld. We start the book in the coastal area where the Skyre Clan leaves, we see the grassy plains where the Claw clan lives, the desert, the enclosed cities. It's a rather varied world as far as most Star Wars planets seem to be. And before the devastation we know it was similar to earth. This would include a variety of biomes around the planet. You can check out this video from Star Wars Explained that gives a background on the planet itself. Not the answer you're looking for? Browse other questions tagged star-wars planets trope genre-trope or ask your own question. Does Star Wars G canon always beat C canon? Does The Force Awakens contradict any other Disney canon work? How do all the planets in the Star Wars universe contain breathable atmosphere and Earth gravity? 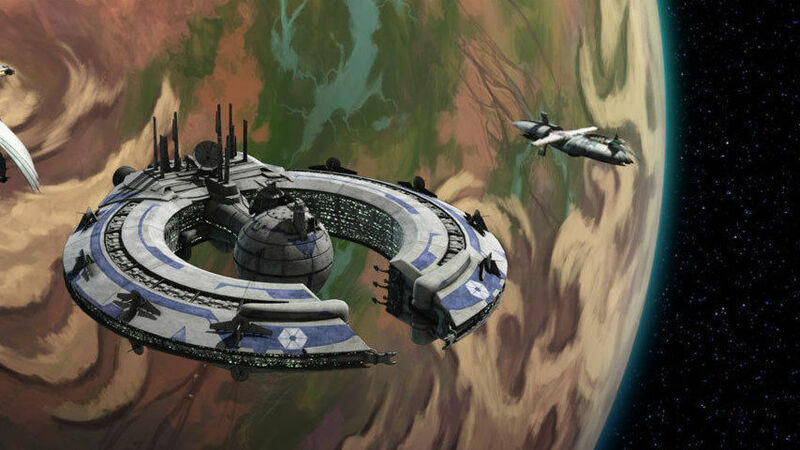 What planets have been destroyed in the new Star Wars canon?